Arizona is wonderful for winter travel. The highways are clear, the skies are blue, and the air is fresh. It’s time to hop in that RV motorhome and explore the festivals that happen across the state during November and December. There is a wealth of music, food and unique experiences awaiting you. You have a few options around the 22nd and 23rd of November. For instance, in Yuma, the 23rd Annual Colorado River Crossing Balloon Festival happens on the 22nd through the 24th. Balloons, balloons and more balloons, with fireworks and great entertainment. Best of all, it is free! From the 23rd to the 24th you can go to Queen Creek and discover the 11th Annual American Heritage Festival. What is the best about this festival? The battle reenactments and living history demonstrations! In Phoenix on 23 November, the 8th Annual Native Now is a celebration of art and culture of Native Americans. There will be music, performances, great food, and some short films put on by Arizona filmmakers. This free event goes from 10 am to 3 pm. Be sure to arrive early so you can get right in to ASU Deer Valley Rock Art Center. If in Phoenix for Thanksgiving, you will love to spend it with friends and family at the Thanksgiving Day Harvest Feast on 28 November at the Heard Museum. A traditional feast will be prepared with chefs combining American Indian culture with expertise. Then join in the fun at Ahwatukee Foothills at the 18th Annual Festival of Lights. This will be held from 28 November to the 30th. Enjoy wine tasting, hayrides and an artistic display of over a million white lights that light up the desert. From 29 to 30 November, be sure to head to Sedona for the Festival of Trees at the Tlaquepaque Arts & Crafts Village. The displays of gingerbread houses and trees will be both indoors and outside, decorated in different themes with a wide variety of materials. In Lake Havasu City the entire month of December offers the excitement of the holidays with the 19th Annual Festival of Lights. You will love seeing London Bridge (the real one, honest!) while there. So many lights and so many friendly faces! Of course, in Tucson, from 7 to 8 December, the Celebration of Basketry and Native Foods Festival is quite a hit with locals and visitors. Taste delicious tribal foods, watch cooking demonstrations and traditional dance and song. Then head to Tombstone! From December 13 to the 14th you must experience Christmas in Tombstone for an event never to be forgotten. The kids will love it, particularly the fireworks and light parade. In Somerton on the 21st of December there is the 7th Annual Somerton Tamale Festival. Now here is something unique for the whole family! Yum! The foods will make your mouth water. Includes live music and plenty of great entertainment, and all free! Yes, you will discover Arizona in a special way – on a trip around the state to take in some of the best festivals! We have an rv rental location in Phoenix that makes travel to this event convenient or call us toll free at 888-337-2208. Picture credits: The picture of a Balloon Festival is from the Wikimedia Commons. It is licensed under the Creative Commons Attribution-Share Alike 3.0 Unported license. If you like to do your leaf peeping a little closer to the ground, hiking in Cibola National Forest will fill the bill. More than sixty trailheads are scattered through the forest’s ranger districts, meaning varied terrain hiking and lots of chances to see the glory of autumn. Affordable RV campgrounds can be found there, as well. The brilliant fall colors of the Santa Fe National Forest reach their peak in early October and they’re only a couple of hours north of Albuquerque. Majestic stands of aspens, sage and cottonwoods are just what RV travelers hope to find on a Southwestern fall camping trip. The trails in the Pecos Wilderness area are particularly colorful in autumn. And now for something a bit out of the ordinary; ever considered hovering above brightly-colored forests in a hot air balloon? The Albuquerque International Balloon Fiesta, held each year during the first week of October, offers leaf peepers the ultimate in autumn views. Balloon rides are readily available, so don’t miss the chance to soar above the autumn forests surrounding Albuquerque. For full-fledged fall foliage fans, there’s an awe-inspiring loop drive through the rugged mountains northwest of Albuquerque. Start your trip in Bernalillo, twenty minutes north of town, and then follow the Jemez Mountain National Scenic Byway to find not only autumn leaves but also an abundance of New Mexico historic sites. Not to be outdone by the splendor of Northern New Mexico in autumn, Gila National Forest, about three hours south of Albuquerque, is prime leaf peeping territory, too. Use this guide to fall color in the Gila National Forest to plan your RV camping trip from Albuquerque to the autumn beauty of Southwest New Mexico. And there you have it, a quick overview of what to expect when going in search of fall foliage near Albuquerque. Savvy RV travelers will also use the tools available at NewMexico.org to help them find campgrounds, special events and travel tips to make the most of their autumn Albuquerque vacation. Come to New Mexico this autumn and find out why Southwestern leaf peeping is among the best in the nation. Have you had the pleasure of visiting scenic Clarke County, Virginia? If not, you should definitely plan an RV trip to the Long Branch Historic House and Farm. It’s the site each year of the Shenandoah Valley Hot Air Balloon, Wine & Music Festival. Just in case you’re not familiar with this fascinating festival, we’ve pulled together all the resources you need to make this a perfect RV vacation. In mid-October each year, the Long Branch plantation provides a scenic and historic setting for the Hot Air Balloon & Wine Festival. There are events for the entire family, including an antique car show, hay bale maze, and of course, the balloons! For three days, dozens of balloonists from all over the US descend on Long Branch Farm for ascensions, exhibitions and a Friday night Hot Air Balloon & Pumpkin Glow. Another great reason to attend this event annually is the wine tasting exhibition, featuring up to twenty area wineries. The fine wines themselves are reason enough to schedule an RV camping trip to the area! There’s also plenty of live music, fabulous food and the celebrated farm, originally surveyed by George Washington. In other words, you’ll want to spend all three days of the Festival soaking in the beauty of the Shenandoah Valley while attending entertaining events. There are plenty of RV campsites near the Festival grounds. Watermelon Park Campground in Berryville has full-service sites along the Shenandoah River. Another great choice is Candy Hill Campground in Winchester. Choose your campground and make your reservations early. This is a very popular event with RVers! 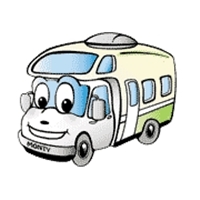 If you don’t own your own RV, we’re ready to help you with a great rental. Our El Monte RV Rentals location in Roanoke, Virginia is easily accessible from all airports in the Washington, D.C. area. Fly into Dulles, Reagan or Baltimore Airport, pick up your plush motorhome and travel south to Millwood for the Festival. Isn’t this the year you should be watching hot air balloons rise into the Virginia sky? We give Shenandoah Valley Hot Air Balloon, Wine & Music Festival a big thumbs up as an RV camping trip destination. Need a quick, late autumn RV camping vacation that includes music, hot air balloons and worthy causes? The Colorado River Crossing Balloon Festival is held each year in late November in Yuma, Arizona. Located in the far southwest corner of the state, a stone’s throw from both California and Mexico, Yuma hosts this fabulous festival that raises money for local charities. Here are the five top reasons RV campers will love this Balloon Festival. The Colorado River runs through Yuma, and the Colorado River Crossing Balloon Festival is set against its wild beauty. Imagine waking up to dozens of balloons rising on the riverbank, with picturesque mountains as a backdrop! Three different venues in this Sonoran Desert city set the stage for the three day invitational Festival. One of the things that make this Balloon Festival unique is the variety of venues for Festival events. A special Media Flight lifts off from the grounds of a local school, and mass ascensions each day are based at a scenic park. The crowning event of the weekend, a sundown tethered balloon “glow” set to music, takes place at Desert Sun Stadium. You won’t have time to be bored on this RV camping trip. There are colorful, thrilling events occurring everywhere you turn! Did we mention this is an invitational Balloon Festival? That means that only about three dozen top-notch balloonists from around the world are invited to take part in the three-day Festival. You’ll be amazed at their expertise is piloting their balloons during the weekend. The City of Yuma, civic-minded corporations and an organization called the Caballeros de Yuma go all out to make this annual invitational Festival a family event. Not only do the Caballeros raise money for scholarships and charities by operating the event, there are also connections to kids throughout the Festival. One very special annual tradition is the Tissue Balloon Launch featuring miniature hot air balloons created by area children. Another great Balloon Festival community tradition—breakfast made by local law enforcement during the early morning ascensions! Pick up your luxurious RV rental at our Phoenix RV Rentals office and head south to Yuma for a weekend of Balloon Festival fun. While in Yuma, plan to stay at Shangri-La RV Resort, a large, full-service RV resort and campground. With all the amenities you could possibly need right there in the neighborhood, your Balloon Festival RV camping adventure will be memorable.Just twelve miles west of Yuma, you can also experience desert camping with full hookups at Gold Rock Ranch RV Campground in Winterhaven, California. If you’ve never experienced the Southern California desert by RV, this is the place to do it!There’s still time to plan a fabulous Balloon Festival weekend in Yuma. Grab the kids, pack your casual clothes and make your RV reservation today! What better way to spend a November weekend than immersed in music, hot air balloons and RV camping fun? Every year in late October, dozens of hot air balloons descend upon Taos, New Mexico for three days of balloon lifts, parades and just plain fun! It sounded like such a great idea for an RV camping trip that we’ve pulled together information about the Taos Mountain Balloon Rally and interesting things to do in the surrounding area. Each year, thousands of people flock to the mountains surrounding Taos, to watch colorful balloons rising into the dawn. Hot air ballooning is popular in Northern New Mexico and many balloon outfitters operate balloon ride concessions year-round. This makes the Balloon Rally a natural event for the Taos area, and it gets bigger every year. A number of events during the Rally have emerged as crowd favorites. The Dawn Patrol, held at six a.m. each day, is spectacular, so don’t forget to bring your camera! There’s also a mass ascension of balloons an hour later. There’s nothing quite like seeing dozens of balloons rising, one after another, into the cool, clear air above the Sangre de Cristo Mountains. The ultimate photo op at the Rally is the sundown “Balloonmenshine,” where balloon crews “shine” the balloons on the ground by flaming up their burners. Treat yourself to a balloon ride sometime during the weekend, too. When it’s time to settle down for the evening, RV camping in the mountains is a great experience. Here are a couple of ideas for area campgrounds our readers have recommended. Nestled in a mountain valley near the Balloon Rally site, you’ll find Taos Valley RV Park. This beautiful park offers mountain views, free wireless and full hookups for RVs. Monte Bello RV Resort, down the road on Hwy 64, sits on a high mesa that offers a fabulous view of the surrounding countryside. Located near the Rio Grande Gorge suspension bridge, this campground features a convenience store, hiking trails and picnic pavilion. Spend three days in the midst of hot air balloon activities, and then stay, if you can, to explore the rich possibilities around Taos. If you’ve never traveled to Taos, you’ll be amazed by the cultural, historical and outdoor sports activities you’ll find there. Taos Pueblo is a fitting symbol of this area rich in Native American history. The Pueblo is a Native American community continuously inhabited for over one thousand years! Once the Pueblo has sparked your interest in Native art, spend time exploring more than eighty art galleries in the Taos, New Mexico area. We also recommend spending time in the mountains around Taos, whether your sport is mountain biking, hiking or lake fishing. Rio Grande Gorge is a spectacular place to visit, plunging eight hundred feet through red rock to the Rio Grande River below. Carson National Forest is adjacent to Taos, and offers over a million acres of mountain beauty rising from six thousand to over thirteen thousand feet! The Taos Mountain Balloon Rally is a wonderful way to experience the rugged beauty of Northern New Mexico. Pick up your reserved RV rental then head to Taos. Your trek along the road to Taos, and at least three days of fun around the Balloon Rally, will have you calling to book your RV rental reservation for next year! What could be more beautiful than a Fall weekend in the Poconos? We’ve heard great things from RV rental customers about the Pocono Balloon Festival every October, and we wanted to get the word out. The Pocono Balloon Festival is held each October at Shawnee Mountain Ski Area in Shawnee-on-Delaware, Pennsylvania. Surrounded by the Delaware Water Gap National Recreation Area, the Ski Area is cloaked in fall colors during the festival. The three-day Balloon Festival is a great place to spend an RV camping vacation. One of the nicest things about the Pocono Balloon Fest is watching the early morning balloon launch as hot air balloons rise above the Poconos at sunrise. Throughout the weekend, balloon demonstrations, lifts and competitions are held. If you’d like to book a ride on a hot air balloon, this is the perfect place to do it! Few sights are more spectacular than the Delaware Water Gap dressed in fall foliage, and you can see it all from a birds-eye view. The Festival has, by the way, become known as the Hot Air Balloon and Timber Festival, as it also highlights a regional lumberjack exhibition. Get ready for some exciting competition! Your family will love watching the pole climbing contest, log rolling and other events borne from the area’s logging heritage. Plan to spend the three-day weekend enjoying music performances, food vendors galore and plenty of activities for the kids. Delaware Water Gap/Pocono Mountains KOA Kampground is just a half mile away from Balloon Festival action. The venue also recommends Dingman’s Campground, fifteen miles away in Dingman’s Ferry, PA. The Festival also partners with Hemlock Campground & Cottages in Tobyhanna, PA.
No matter where you stay, you’ll be surrounded by photo opportunities, outdoor sports adventures, and, of course, the Festival. You can fly into Wilkes-Barre/Scranton International Airport and pick up your RV rental at our El Monte RV Rentals location in nearby Kingston. From Kingston, Shawnee Mountain Ski Area is a little over an hour away. Doesn’t this sound like a fun way to spend time in Poconos? Call and let us know when you’re leaving, so we can book the right RV rental for your trip. Be sure to share you photos with us when you get back!